Our daily habits have the greatest impact on our health. Rather than focus on the things we should not be doing, adopting daily detox habits are a positive way to steer ourselves in the right direction. The primary organs of elimination are the bowels, kidneys, skin and lungs. The following are some suggestions to help your body to detox on a daily basis. As well as keeping us hydrated, drinking water helps to eliminate toxins from the body. It is essential for proper stool formation and to support the kidneys in filtering waste and other toxins from the blood. It transports nutrients and waste products in and out of cells, and forms the basis of blood, digestive juices, urine and perspiration. The body does not store water; it uses it for all your body’s vital functions and needs to be replenished daily. Start your morning with a cup of warm water and lemon juice. Keep a bottle of water with you and sip throughout the day rather than flushing your system in one go. Drink warm water or herbal teas instead of that cup of coffee. Foods that taste bitter stimulate and tone the liver, which is the primary organ of detoxification. They increase the flow of bile, which stimulates bowel movements. The bitter taste experience also tones up the vagus nerve and promotes the production of feel good hormones in the gut. Most people dislike the taste of bitter; fortunately you only need a little to get the benefits. A small salad of rocket, mustard greens and chicory leaves before your main meal will stimulate the release of all digestive juices and greatly assist digestion, while toning up the digestive organs such as the stomach, liver, gallbladder and pancreas. Get outdoors for a daily brisk walk. Movement promotes bowel movements and improves circulation. It also increases our exposure to the sun for increased Vitamin D production. Vitamin D helps the body to eliminate mercury. Fresh air will help to oxygenate your blood and inner organs. Walking is also a great way to clear your mind and improve your mood. Dry skin brushing is one of the best ways to stimulate the lymphatic system and elimination via the skin. It removes dead skin cells from the skin’s surface and helps to reduce cellulite. When toxins are unable to escape through the skin they can end up being stored in fat cells, resulting in fatty deposits such as cellulite or cysts, or they will re-circulate through the bloodstream stressing the kidneys, lungs and bowels. Dry skin brushing before your shower will greatly help your body to detox stored toxins. Fruits are cleansing. 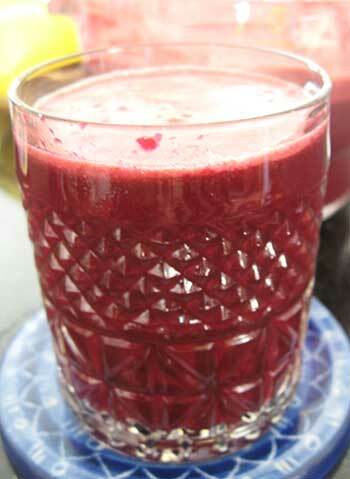 A daily detox juice such as apple, carrot, beet and ginger is a great way to assist the body with eliminating toxins. If juicing sounds like too much bother to you, eat fresh fruit for breakfast when your body is naturally in its own cleansing cycle. Smoothies are another good option for breakfast. You can include some superfoods or leafy greens to add vital nutrients and assist your body in eliminating toxins. Even if you adopted only one of the above daily detox habits you will experience some benefits. Introduce changes at a pace that suits you or contact me to schedule your first consultation.